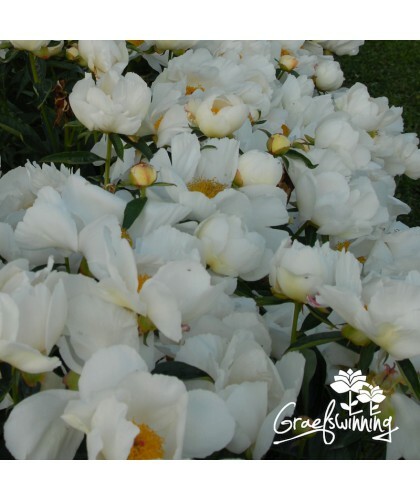 Paeonia lactiflora "White Ivory". Double rose-shaped ivory white flower have their petals placed in perfect symmetry. The pristine flowers present an attractive contrast against the lush dark green foliage. 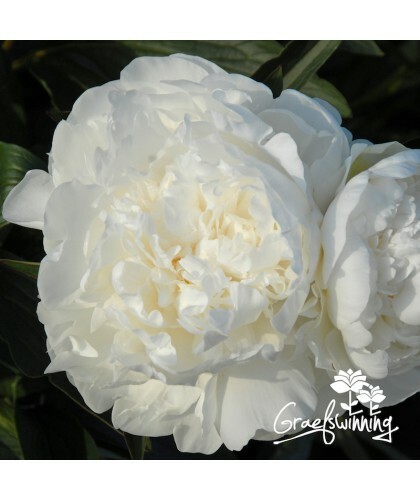 Three to four buds per stem extend the flowering season of this pleasantly scented variety. Excellent stem strength, although some support might be required during adverse weather. 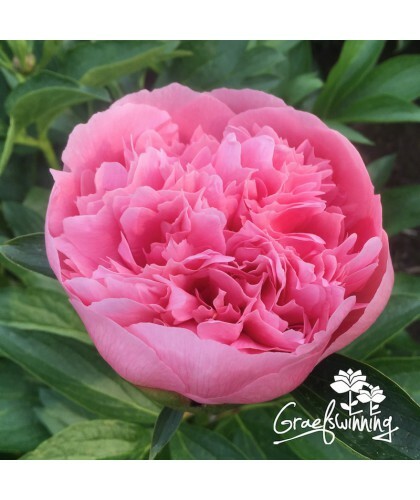 A perfect cut flower and landscape peony.